This test has been designed to assess your basic knowledge of the philosophy of Objectivism. It is not intended to be an open book test. The first 50 questions focus on metaphysics and epistemology; 25 questions are on ethics, and 25 are on politics. Most of the questions have been taken directly from Basic Principles of Objectivism lectures and Leonard Peikoff's book, entitled: Objectivism: The Philosophy of Ayn Rand. This test is designed to be taken after the Objectivism: General Knowledge (01) test. It is not intended to be an open book test. The test consists of 100 questions. Many of the questions have been taken directly from Nathaniel Branden's Basic Principles of Objectivism lectures (also available as The Vision of Ayn Rand). Other sources are listed below. Only reading Ayn Rand's fictional work will not be sufficient preparation to excel on this test. This general assessment can help students of Objectivism and study-group organizers determine the ideal study materials and is not intended to evaluate one's agreement with Objectivism. This test has been designed to assess your comprehension of Introduction to Objectivist Epistemology (ITOE) [Expanded Second Edition, April 1990]. Questions have been formed from the Introduction, Chapters 1-8, and the Summary. It is not intended to be an open book test. There are 100 questions - each is worth 1 point. This test can be taken by students before and after reading ITOE (as a pre and/or post-test). Only reading Ayn Rand's fictional work will not be sufficient preparation to excel on this test. This assessment can help students of Objectivism and study-group organizers determine the ideal study materials and is not intended to evaluate one's agreement with Objectivism. This test has been designed to assess your comprehension of The Virtue of Selfishness (VOS) [Centennial Edition]. Questions have been formed from the Introduction and Chapter 1 only. Subsequent tests will cover additional chapters of the book. It is not intended to be an open book test. There are 25 questions - each is worth 4 points. This test can be taken by students before and after reading VOS (as a pre and/or post-test). Only reading Ayn Rand's fictional work will not be sufficient preparation to excel on this test. This assessment can help students of Objectivism and study-group organizers determine the ideal study materials and is not intended to evaluate one's agreement with Objectivism. This test has been designed to assess your comprehension of The Virtue of Selfishness (VOS) [Centennial Edition]. Questions have been formed from Chapter 2 through Chapter 6. Subsequent tests will cover additional chapters of the book. It is not intended to be an open book test. There are 25 questions - each is worth 4 points. This test can be taken by students before and after reading VOS (as a pre and/or post-test). Only reading Ayn Rand's fictional work will not be sufficient preparation to excel on this test. This assessment can help students of Objectivism and study-group organizers determine the ideal study materials and is not intended to evaluate one's agreement with Objectivism. This test has been designed to assess your comprehension of The Virtue of Selfishness (VOS) [Centennial Edition]. Questions have been formed from Chapter 7 through Chapter 13. Subsequent tests will cover additional chapters of the book. It is not intended to be an open book test. There are 20 questions - each is worth 5 points. 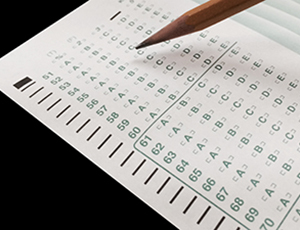 This test can be taken by students before and after reading VOS (as a pre and/or post-test). Only reading Ayn Rand's fictional work will not be sufficient preparation to excel on this test. This assessment can help students of Objectivism and study-group organizers determine the ideal study materials and is not intended to evaluate one's agreement with Objectivism. This test has been designed to assess your comprehension of The Virtue of Selfishness (VOS) [Centennial Edition]. Questions have been formed from Chapter 14 through Chapter 19. It is not intended to be an open book test. There are 20 questions - each is worth 5 points. This test can be taken by students before and after reading VOS (as a pre and/or post-test). Only reading Ayn Rand's fictional work will not be sufficient preparation to excel on this test. This assessment can help students of Objectivism and study-group organizers determine the ideal study materials and is not intended to evaluate one's agreement with Objectivism. This test has been designed to assess your comprehension of Understanding Objectivism: A Guide to Learning Ayn Rand's Philosophy (UO) Lectures by Dr. Leonard Peikoff (Book Edited by Michael S. Berliner). Questions have been formed from the book version, chapters (lectures) 1 - 4 only. Subsequent tests will cover additional chapters of the book. It is not intended to be an open book test. There are 25 questions - each is worth 4 points. This test can be taken by students before and after reading UO (as a pre and/or post-test). Only reading Ayn Rand's fictional work will not be sufficient preparation to excel on this test. This assessment can help students of Objectivism and study-group organizers determine the ideal study materials and is not intended to evaluate one's agreement with Objectivism. This test has been designed to assess your comprehension of Understanding Objectivism: A Guide to Learning Ayn Rand's Philosophy (UO) Lectures by Dr. Leonard Peikoff (Book Edited by Michael S. Berliner). Questions have been formed from the book version, chapters (lectures) 5 - 6 only. Subsequent tests will cover additional chapters of the book. It is not intended to be an open book test. There are 25 questions - each is worth 4 points. This test can be taken by students before and after reading UO (as a pre and/or post-test). Only reading Ayn Rand's fictional work will not be sufficient preparation to excel on this test. This assessment can help students of Objectivism and study-group organizers determine the ideal study materials and is not intended to evaluate one's agreement with Objectivism. This test has been designed to assess your comprehension of Understanding Objectivism: A Guide to Learning Ayn Rand's Philosophy (UO) Lectures by Dr. Leonard Peikoff (Book Edited by Michael S. Berliner). Questions have been formed from the book version, chapters (lectures) 7 - 8 only. Subsequent tests will cover additional chapters of the book. It is not intended to be an open book test. There are 25 questions - each is worth 4 points. This test can be taken by students before and after reading UO (as a pre and/or post-test). Only reading Ayn Rand's fictional work will not be sufficient preparation to excel on this test. This assessment can help students of Objectivism and study-group organizers determine the ideal study materials and is not intended to evaluate one's agreement with Objectivism. This test has been designed to assess your comprehension of Understanding Objectivism: A Guide to Learning Ayn Rand's Philosophy (UO) Lectures by Dr. Leonard Peikoff (Book Edited by Michael S. Berliner). Questions have been formed from the book version, chapters (lectures) 9 - 10 only. Subsequent tests will cover additional chapters of the book. It is not intended to be an open book test. There are 25 questions - each is worth 4 points. This test can be taken by students before and after reading UO (as a pre and/or post-test). Only reading Ayn Rand's fictional work will not be sufficient preparation to excel on this test. This assessment can help students of Objectivism and study-group organizers determine the ideal study materials and is not intended to evaluate one's agreement with Objectivism. This test has been designed to assess your comprehension of Understanding Objectivism: A Guide to Learning Ayn Rand's Philosophy (UO) Lectures by Dr. Leonard Peikoff (Book Edited by Michael S. Berliner). Questions have been formed from the book version, chapter (lecture) 11 only. It is not intended to be an open book test. There are 20 questions - each is worth 5 points. This test can be taken by students before and after reading UO (as a pre and/or post-test). Only reading Ayn Rand's fictional work will not be sufficient preparation to excel on this test. This assessment can help students of Objectivism and study-group organizers determine the ideal study materials and is not intended to evaluate one's agreement with Objectivism. This test has been designed to assess your comprehension of The Ominous Parallels (TOP). Questions have been formed from Chapter 1 and 2 only. Subsequent tests will cover additional chapters of the book. It is not intended to be an open book test. There are 20 questions - each is worth 5 points. This test can be taken by students before and after reading TOP (as a pre and/or post-test). Only reading Ayn Rand's fictional work will not be sufficient preparation to excel on this test. This assessment can help students of Objectivism and study-group organizers determine the ideal study materials and is not intended to evaluate one's agreement with Objectivism. This test has been designed to assess your comprehension of The Ominous Parallels (TOP). Questions have been formed from Chapter 3, 4, 5 and 6 only. Subsequent tests will cover additional chapters of the book. It is not intended to be an open book test. There are 20 questions - each is worth 5 points. This test can be taken by students before and after reading TOP (as a pre and/or post-test). Only reading Ayn Rand's fictional work will not be sufficient preparation to excel on this test. This assessment can help students of Objectivism and study-group organizers determine the ideal study materials and is not intended to evaluate one's agreement with Objectivism. This test has been designed to assess your comprehension of the Introduction to Logic Lectures by Dr. Leonard Peikoff. Questions have been formed from lecture 1 only (Discs 1-3). There are 25 questions - each is worth 4 points. This test can be taken by students before and after listening to the lectures (as a pre and/or post-test). Only reading Ayn Rand's fictional work will not be sufficient preparation to excel on this test. This assessment can help students of Objectivism and study-group organizers determine the ideal study materials and is not intended to evaluate one's agreement with Objectivism. This test has been designed to assess your comprehension of the Introduction to Logic Lectures by Dr. Leonard Peikoff. Questions have been formed from lecture 2 only (Discs 4-6). There are 25 questions - each is worth 4 points. This test can be taken by students before and after listening to the lectures (as a pre and/or post-test). Only reading Ayn Rand's fictional work will not be sufficient preparation to excel on this test. This assessment can help students of Objectivism and study-group organizers determine the ideal study materials and is not intended to evaluate one's agreement with Objectivism.